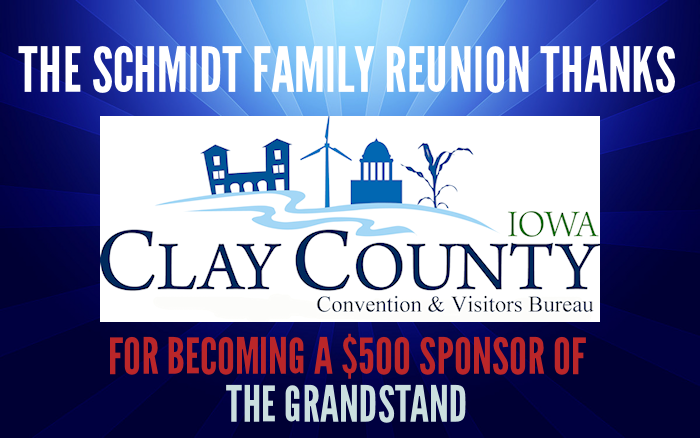 THANK YOU to the Clay County Convention & Visitors Bureau in Spencer, Iowa for becoming a $500 Sponsor of the Grandstand at our Schmidt Family Reunion​! Check out our newest sponsor online. Congrats to Logan Schmidt and Daryl Kern!